I'll have to double up today. On the planting front...water the plants and seeds. They may not need it, but water them anyway. The plants can dry out after this irrigation but the seeds need to be watered regularly until they come up. Even if they look wet. 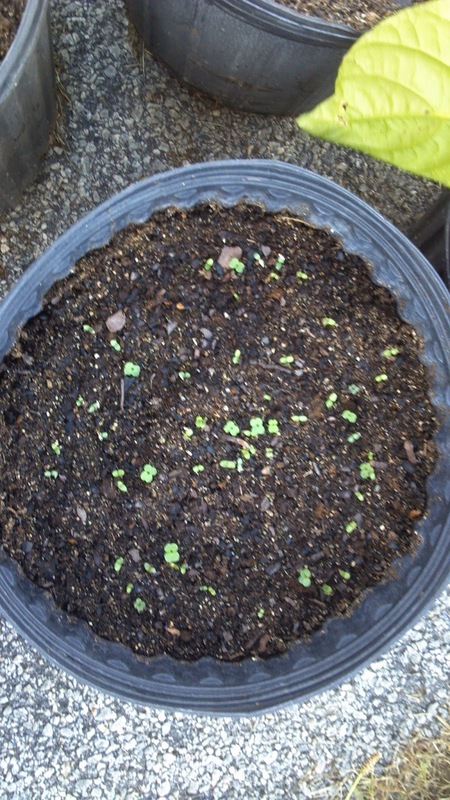 The lettuce doen't need water if their soil is wet, but the beans and squash do. While I was watering I saw the beans have germinated. They just haven't broken through the soil yet. Plants tomorrow! To feel more productive...look up farmers markets and farm stands. To actually BE productive...Find one near you and start asking about very ripe tomatoes. Get what they will sell you cheaply, even if there are a few spots. I'm always stunned at the people who are afraid of food that has a couple spots. Good thing Twinkies are back on the market. Those people will need to live on something. Wash them all. Cut out the bad chunks. Into a saucepan, put the clean tomatoes. Use the darkest and the damaged. Boil them until the skin splits and then drain them. If you want very spicy salsa, boil a few jalapeños with them. Something about boiling the peppers makes them spicier. When they have cooled enough to handle, pull the skins off the tomatoes. The skins will stay on the jalapeños. 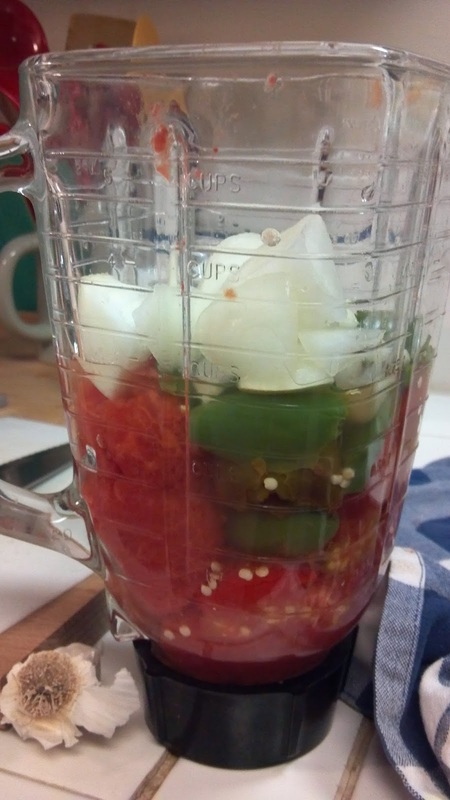 Toss the toms and peppers into the blender. You will probably need to take the seeds out of most, if not all of the peppers. The blender should be about 2/3 full. Add a clove of garlic and 1/3 of a raw onion. Chop briefly. If it's too chunky, blend again. You may leave thank-you messages for Sarah below. She likes to read them with salsa and chips. Mmmmm salsa. Thanks Sarah, thoughts of fresh salsa are always welcome. My friend Christine is picking tomatoes tonight. They make salsa all the time at her house - with cilantro. Might post that one tomorrow!